Check Out This Amazing Spot for ‘The Man With The Iron Fists’!!! 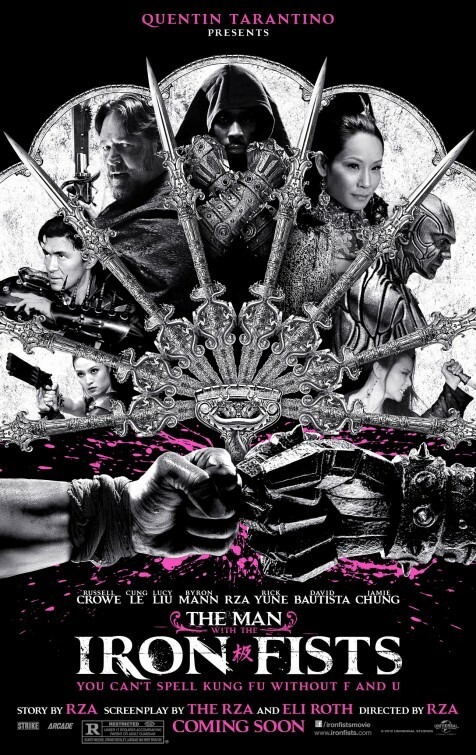 Here is a quick 40 second spot for ‘The Man With The Iron Fists’/ Russell Crowe, Lucy Liu, and Cung Le star in this badass kung fu action film, which Quentin Tarantino is presenting the film. Also, the RZA co-wrote with Eli Roth and directed. The film comes out November 2 of this year. And of course, with a film like this, I can’t wait to see it. Watch the Insane Trailer for ‘Man With The Iron Fists’!!! The Full Trailer For ‘The Mummy’ With Tom Cruise Has Arrived!!! Universal Is Teasing Tom Cruise’s ‘The Mummy’ With Short Clip of Awesome!!! This entry was posted on Monday, October 15th, 2012 at 8:16 pm	and is filed under Film, News. You can follow any responses to this entry through the RSS 2.0 feed. You can skip to the end and leave a response. Pinging is currently not allowed. « Tina Fey and Amy Poehler Will Host The Golden Globes!!! Jim, you think it's too late for him to abort? No, he still has time to get outta there, he just needs someone to wave him off.